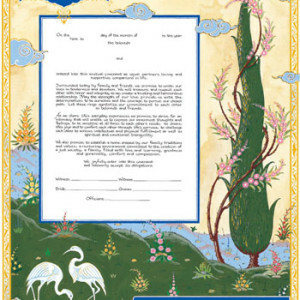 Lush, redolent roses fill up a garden beneath a shimmering blue sky. Graceful gold foil accents enhance the beauty of the finely detailed blooms. 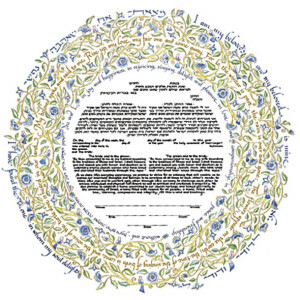 “May our lives be as full of blessings as a pomegranate is full of seeds” encircles the marriage vows in this whimsical, folk art ketubah. 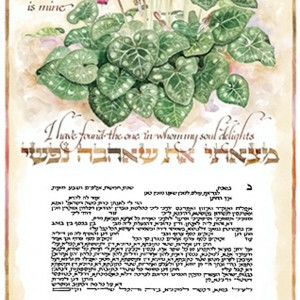 Special glitter and gold foil stars, leaves and quotes enrich the design. 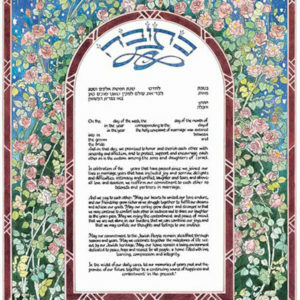 Delicate pink blossoms, Stars of David, and doves symbolizing peace combine to create a lush stained glass border. 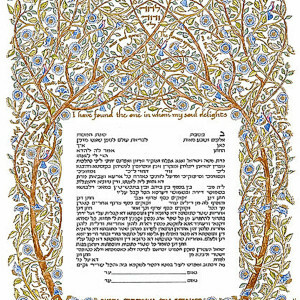 A quote from Song of Songs (II:2-3) reflects the sentiment of love shared by a bride and groom. 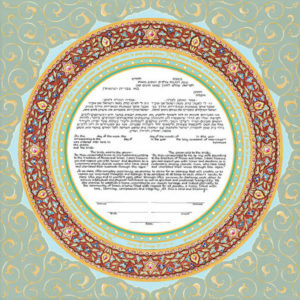 Fine gold foil accents shimmer in the light. 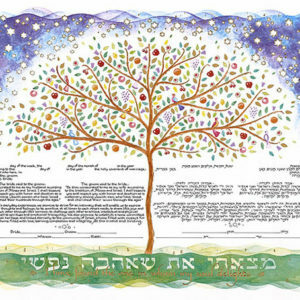 Tree of Life Ketubah by Mickie Caspi. 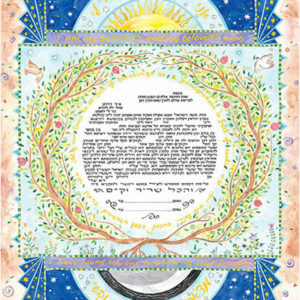 A delicate and delightful “tree of life” shelters the marriage vows in this glowing ketubah. 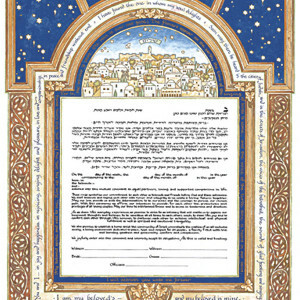 The marriage vows are encircled by a lustrous, deep earth-toned ring studded with jeweled flowers and Stars of David. Foil accents enhance the ring and soft background. 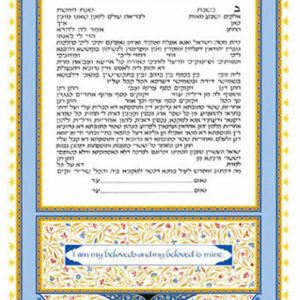 The famous quote from the Song of Songs is calligraphed in gold. 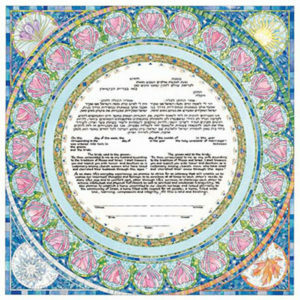 The exacting nature of Persian art inspired this ketubah filled with stylized flowers and arabesques. 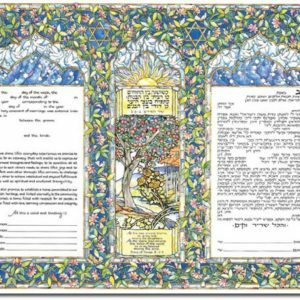 Gold foil accents and bold lines enhance the finely detailed artwork.